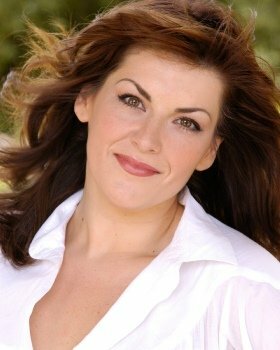 Jodie Prenger (Oliver!, One Man, Two Guvnors, Abigail’s Party UK tour) plays Helen, with further casting to be announced. An exhilarating depiction of working-class life in post-war Salford, A Taste of Honey will open there at The Lowry from 13 – 21 September, with a press night on Friday 20 September. The tour will also visit the Kings Theatre, Edinburgh (24 – 28 September); the Marlowe Theatre, Canterbury (1 – 5 October); Richmond Theatre (7 – 12 October); Grand Opera House, Belfast (15 – 19 October); Leicester Curve (22 – 26 October); Theatre Royal, Bath (28 October – 2 November); Grand Theatre, Wolverhampton (5 – 9 November); and the Norwich Theatre Royal (12 – 16 November). Tickets will go on sale in venues from mid-February, check theatre websites for specific details. Shelagh Delaney wrote her first play, A Taste of Honey in ten days after seeing Rattigan’s Variation of a Theme in Manchester. She sent the script to Joan Littlewood’s Theatre Workshop and the play opened at the Theatre Royal, Stratford East in 1958 before transferring to the West End. It was later made into a feature film with Rita Tushingham, Dora Bryan and Murray Melvin and the Broadway transfer featured Joan Plowright and Angela Lansbury. Delaney’s other work includes The Lion in Love. For television, she wrote The House That Jack Built and was a Fellow of the Royal Society of Literature. Bijan Sheibani is an award-winning theatre and opera director. His work for the National Theatre includes Barber Shop Chronicles, A Taste of Honey, Emil and the Detectives, The Kitchen, and Our Class (Olivier Nomination for Best Director). Other theatre includes Dance Nation and The House of Bernarda Alba (Almeida Theatre); Circle Mirror Transformation (Home, Manchester); The Brothers Size (Young Vic, Olivier Nomination); Giving (Hampstead Theatre); Moonlight (Donmar Warehouse); Gone Too Far (Royal Court Theatre, Olivier Award for Outstanding Achievement in an Affiliate Theatre). He was artistic director of Actors Touring Company from 2007 to 2010, and an associate director at the National Theatre from 2010 to 2015. Jodie Prenger’s work for the NT includes One Man, Two Guvnors for the NT in the West End; Nancy in Oliver! (Theatre Royal, Drury Lane); Lady of the Lake in Spamalot (Playhouse Theatre and UK Tour); Calamity Jane in Calamity Jane (UK Tour); Tell Me on a Sunday (UK Tour); Miss Hannigan in Annie (New Theatre, Oxford); Shirley in Shirley Valentine (UK Tour); Kelly in Fat Friends The Musical (UK Tour) and Beverly in Abigail’s Party (UK tour). Television includes Years and Years, Citizen Khan, Wizards vs Aliens, Candy Cabs and Waterloo Road. She won the Theatregoers’ Choice Whats On Stage Award for Best Supporting Actress in a Musical. Hildegard Bechtler is an Olivier Award-winning theatre and opera designer whose designs for the NT include Consent, Sunset at the Villa Thalia, Waste, A Taste of Honey, Scenes from an Execution, After the Dance, Harper Regan, The Hour We Knew Nothing of Each Other, The Hothouse, Thérèse Raquin, Exiles, Primo, Iphigenia at Aulis, The Merchant of Venice, Richard II, and King Lear. For the RSC she has designed The Crucible and Electra. In London’s West End her designs include Oresteia (also Almeida Theatre), Top Hat, Passion Play, Old Times, The Sunshine Boys, Arcadia, The Lady from Dubuque, By the Bog of Cats, The Master Builder, Footfalls, Hedda Gabler, The Misanthrope, The Goat or Who is Sylvia?, The Crucible. On Broadway she has designed Primo, Arcadia, and The Seagull. A Taste of Honey is produced on tour by the National Theatre.